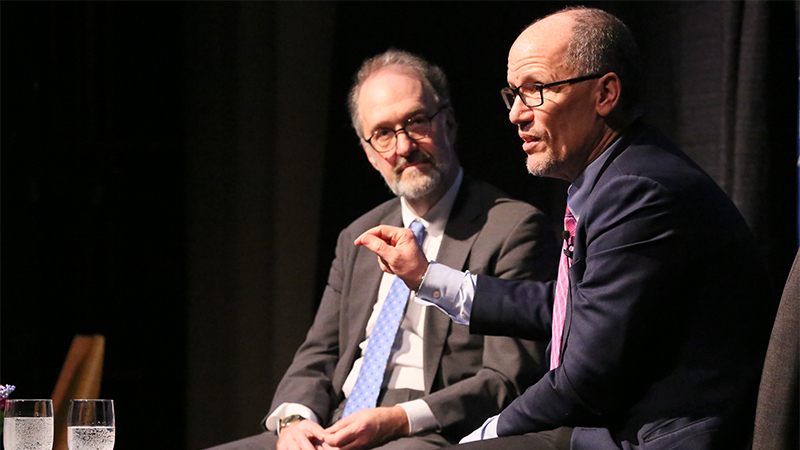 In 2017, Perez was elected chair of the Democratic National Committee. His main goal: to facilitate voter turnout and build up the party’s grassroots organizing capabilities. “A good organizer is a force multiplier,” he said. “We have to engage voters where they consume their news, which for the younger generation is here,” he added, holding up his cell phone. Under his leadership, the DNC has vastly expanded its direct phone and text outreach to sporadic voters and young voters. 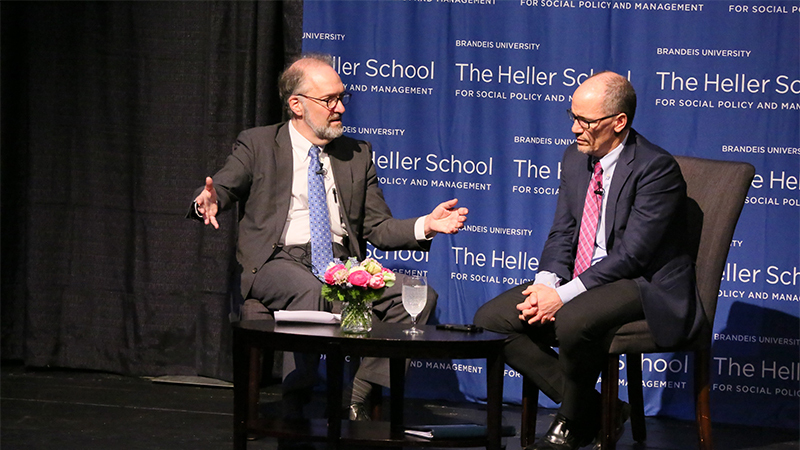 Perez called the wide field of 2020 Democratic candidates an “opportunity” and described several paths to reach 270 electoral votes. “We just have to replicate what we did in 2018,” he said, describing a strategy built around health care messaging and focused heavily on Pennsylvania, Wisconsin and Michigan—states Democrats lost in 2016. 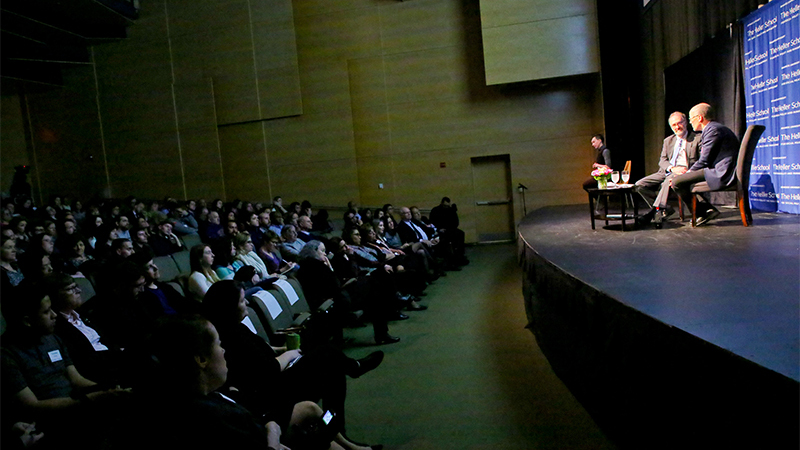 This event is part of an ongoing series hosted by Dean David Weil. 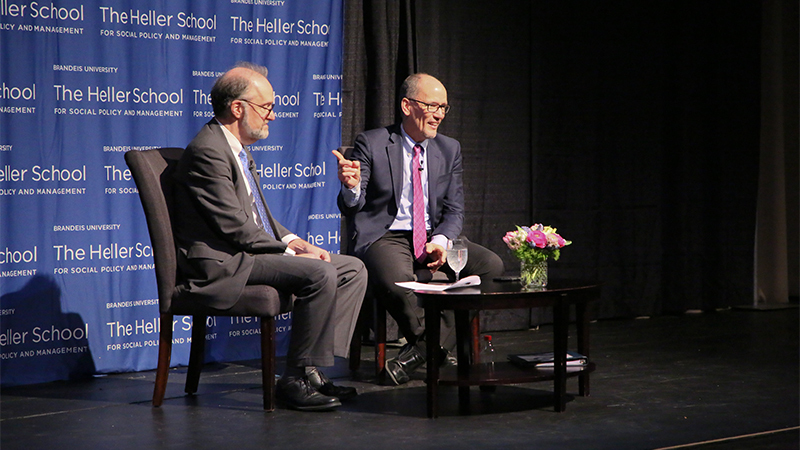 Throughout the school year, he invites prominent public figures, policymakers and advocates in social justice fields to Heller for wide-ranging conversations about their work, providing students, alumni, faculty and staff with a unique opportunity to learn about their careers and areas of expertise.